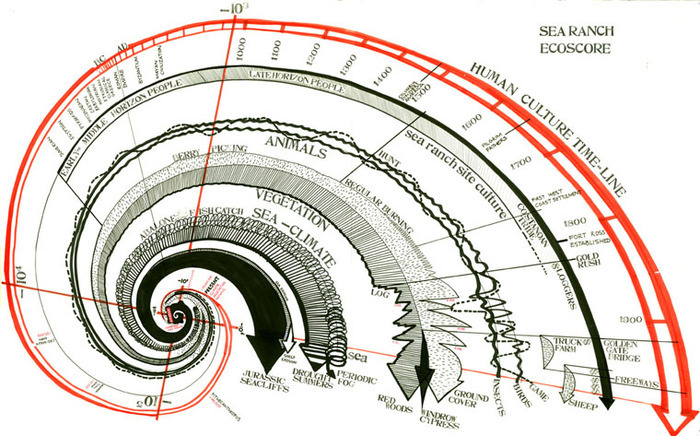 Lawrence Halprin, Sea Ranch Ecoscore showing land-shaping forces through time on this particular stretch of the Sonoma Coast, c. 1968. 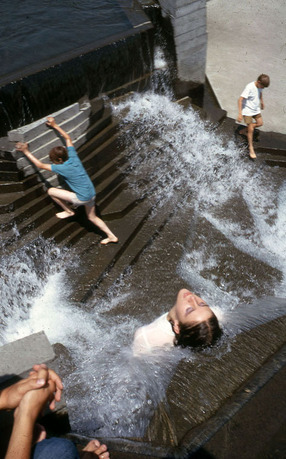 Courtesy of the Lawrence Halprin Collection, the Architectural Archives, University of Pennsylvania. 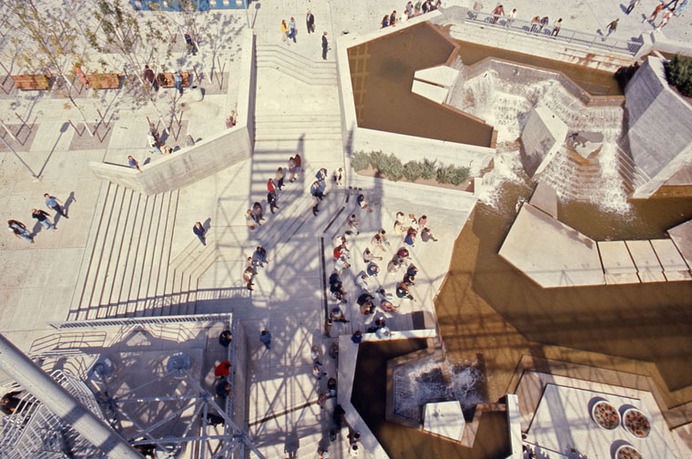 Lawrence Halprin (1916–2009) was one of the most influential landscape architects of the twentieth century. Though he is most widely known for the FDR Memorial in Washington, DC, and the Sea Ranch in California, his creative process—derived in the 1960s from experiments in choreographic scoring—represents an overlooked antecedent to today's approach to landscape and urban design, which emphasizes infrastructural networks, ecological processes, and multidisciplinary collaboration, as well as public participation. 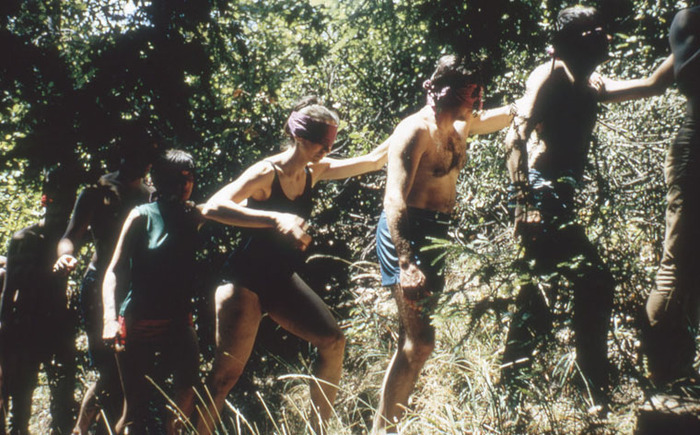 Emerging from an exhaustive study of his vast archive of drawings and office documents, this book critically interprets Halprin’s participatory design process (called The RSVP Cycles), which he developed in collaboration with his wife, the avant-garde dancer and choreographer Anna Halprin. 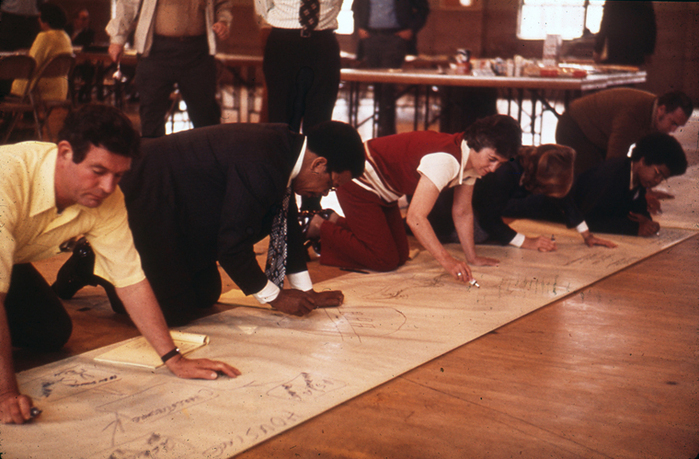 In parallel and response to the broader public demand for social and political participation in the 1960s, he deployed the RSVP methodology in the design and planning of the nation's densely settled metropolitan areas at the height of urban “crisis” and “renewal.” The book is therefore about bold interventions that respond to the city during a time of massive change. 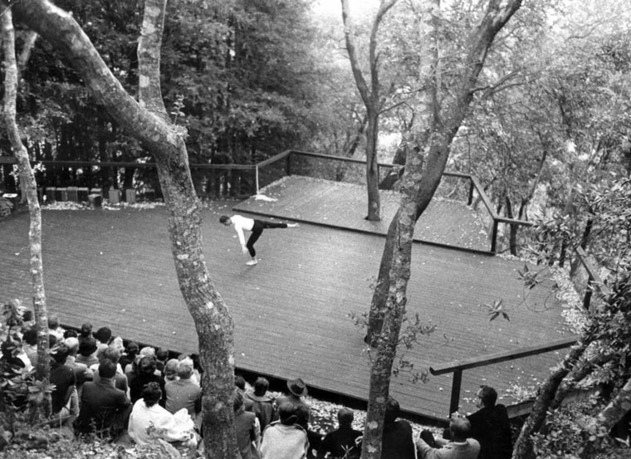 It simultaneously argues for the applicability of aspects of Halprin's choreographic process in city-shaping today. Alison Hirsch is an urban theorist and historian, as well as landscape designer. She holds a PhD in architecture, an MLA, and an MS in historic preservation, all from the University of Pennsylvania. She has published writings in numerous journals, including Landscape Journal, the Journal of Architectural Education, Studies in the History of Gardens and Designed Landscapes, and a piece forthcoming in Wildproject: A Journal of Environmental Studies (fall 2013). She is currently editing a book of essays by landscape architect James Corner. Hirsch has taught landscape architecture theory and design at Harvard University’s Graduate School of Design, the University of Virginia, and the University of Toronto, and will join the tenure-track faculty of the University of Southern California in fall 2013. She has practiced landscape architecture at W-Architecture+Landscape Architecture and James Corner Field Operations in New York, and is cofounder and partner of Foreground Design Agency, a transdisciplinary practice operating between the fields of architecture, landscape architecture, urbanism, and the visual arts.